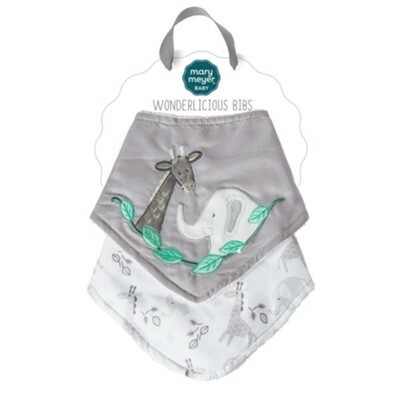 The Afrique Wonderlicious Bib Set from Mary Meyer is a perfect gift for a new baby. This bib set features 1 printed bib and 1 fabric applique bib, both with a coated cotton front, terry backing and Velcro closure. Each bib measures 15" x 7"; machine wash, air dry. Gender neutral. I'm the author/artist and I want to review Afrique Bibs, Set of 2.